In this Chapter, we will see all the "Important Gk Questions of SSC CGL Tier-1". Since we know that the expected date of SSC CGL 2018 will we in September So be ready. Let's Start the "Important Gk Questions of SSC CGL Tier-1"
01. National Emergency is defined under article? 352. 27. President of India is a member of which house? House of the People. 29. An era of darkness book is writeen by? Shashi tharoor. 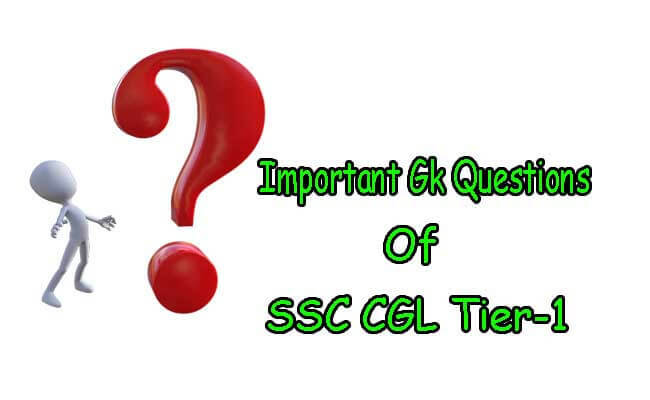 If You Have any Problem Regarding "Important Gk Questions of SSC CGL Tier-1"
I hope You all will Like Our Questions Thank you!